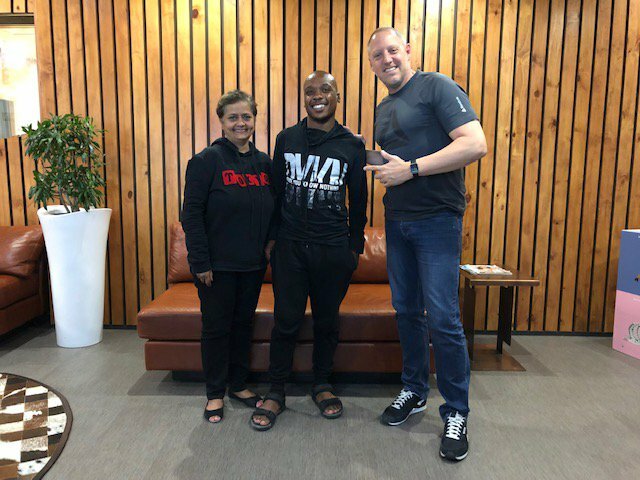 This week on the Big Favour, Sky Tshabalala found a passionate cricketer who needed help. The Big Favour does what it knows best, which is to spread love. Listen to Thursday's Big Favour, or read the details under the podcast. This week’s Big Favour is slightly different from the others because it was Sky from East Coast Breakfast who let us know about a 12-year-old boy he’d met. Sky, a cricket coach in his spare time, had seen Mfunafuthi playing cricket when his team were playing a development U14 team. Not only were Mfunafuthi’s stats pretty good, bagging a half century with the strike rate of above 100, his cricket etiquette, the way he commanded the field, and the way he led his team was refreshing to see. The element that stood out for Sky was that this young boy didn’t have any cricket gear, his shoes were worn, he had no bat and no gloves or helmet – and it was then that Sky decided to see if the Big Favour could help. Daryl Scott, who’s been in the sporting industry for 27 years, jumped on board to help. Shosholoza is a South African Sports Brand, born and bred in Durban. Their vision is to create a great South African sports brand that is internationally recognised. They supply cricket, rugby, hockey, netball, soccer, and water polo equipment, as well as the technical clothing for each sport. 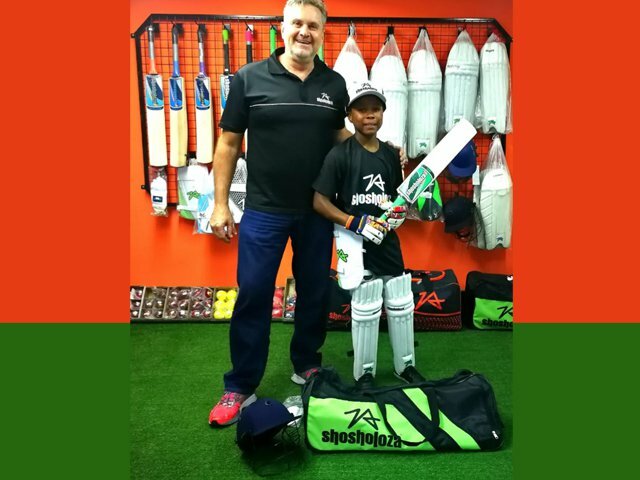 The Shosholoza brand is marketed directly from factory to schools, corporates, clubs, the Shosholoza website, and the Shosholoza Sports Factory Shop.